I think it fits the bill, don’t you think? 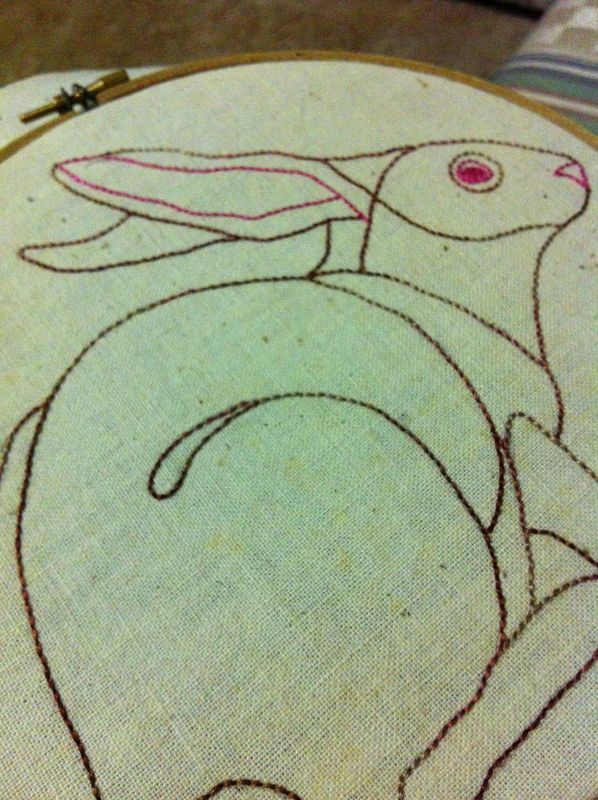 I didn’t have the patience to iron it before I took these piccys or even to trim some of the stray threads hanging off it – but I’ll deal with that when I begin to quilt it. It took a little under a week to sew all 122 squares together. I battled through 46C heat one day and ferocious thunderstorms the next, all the while ensuring each square was in the correct position, each seam was pressed the right way and that I had enough space on my living room floor as the quilt grew bigger and bigger every time I finished each section. Reader Beware: this next paragraph highlights dangerously the quilting geek and the true simpleton that I really am! My heart strangely skipped a beat when I saw all these seam lines on the back of the quilt joining together in a harmonious yet quiet way, all to achieve the clean and crisp surface of the blocks coming together. It’s these simple moments, these glimpses of something great coming together that make my tragic little heart swell with pride and happiness, initiating my love for patchwork and quilting! Yeah, total geek I know! 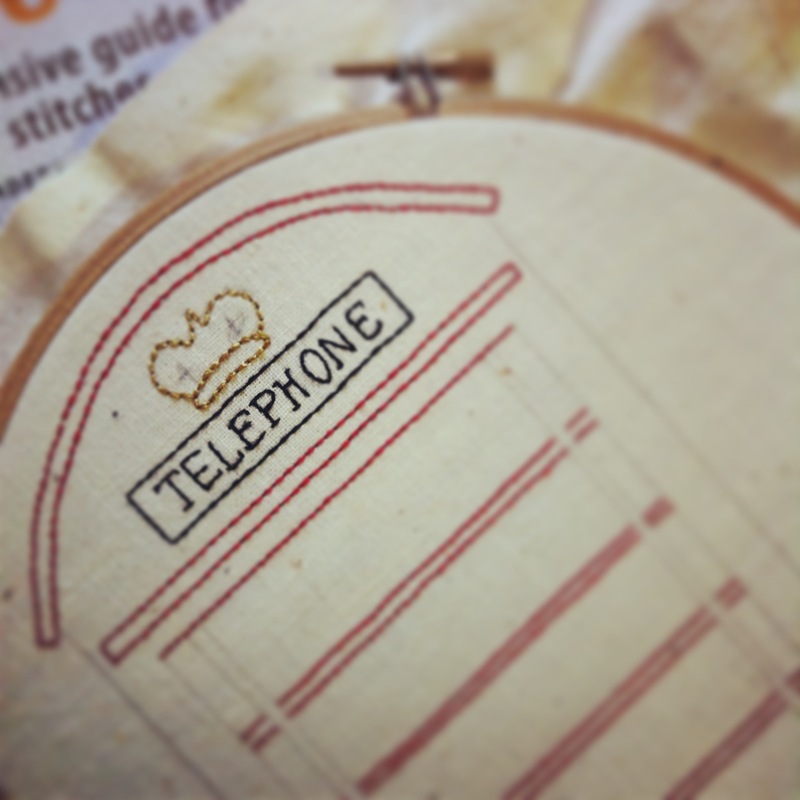 Currently I’m working on a design of a red phone booth (also on vintage cotton linen) synonymous of any London street, thus suppressing and soothing my obsession of all things London-slash-Britishy! 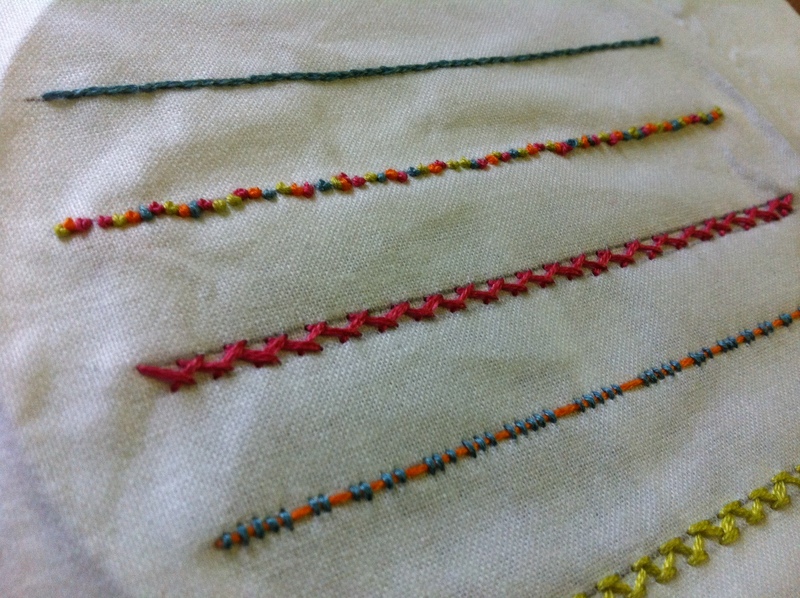 I’ve also been playing around with a very rough stitch sampler in an attempt to stretch my range of stitching skills from just back-stitch and slip-stitch. 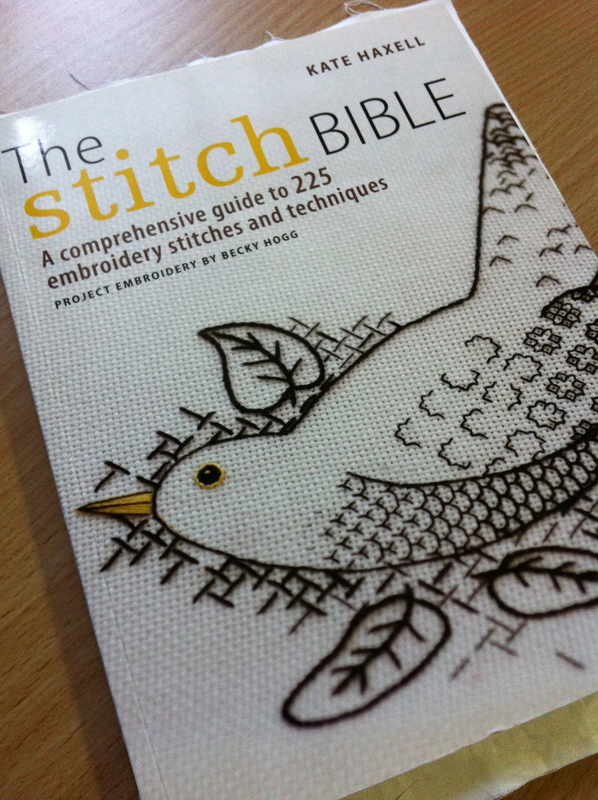 My handy guide to accomplishing these tricky stitches was The Stitch Bible written by Kate Haxell who trained in the master art of embroidery at the Royal School of Needlework (RSN) in Surrey, UK. 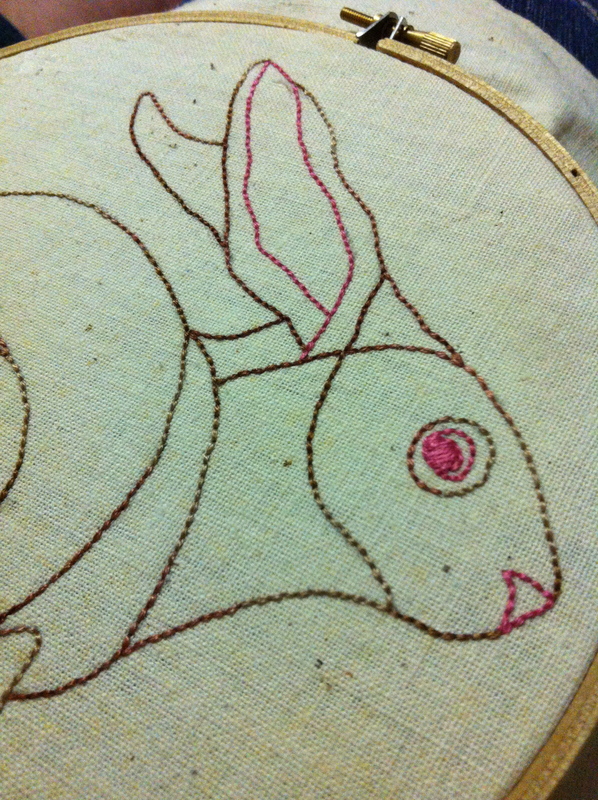 The RSN offers my dream course to study – a degree in Hand Embroidery! I would jump on a plane this instant if I was a millionaire and could afford to live and study over in the UK! Do dreams ever really do come true?? 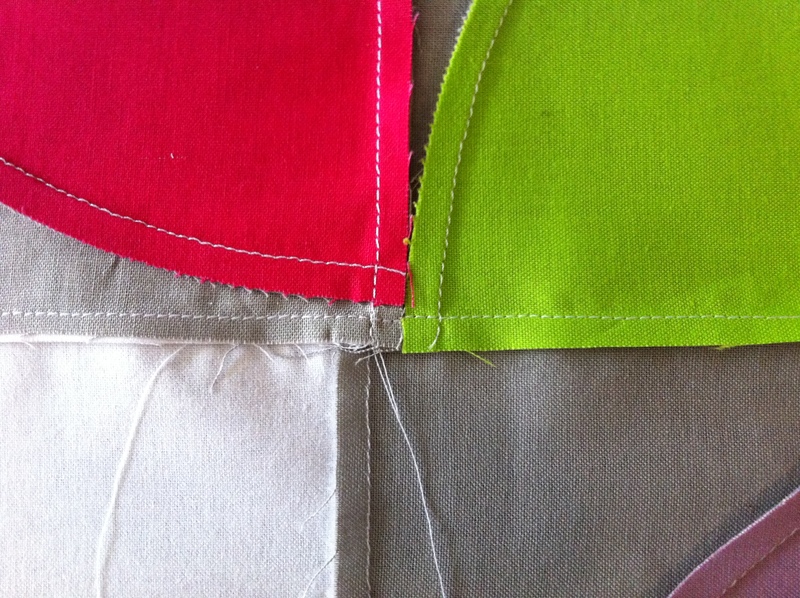 Back to reality and back to my Colourplay quilt – hopefully by the end of the week I’ll be in the processes of buying some batting and suitable backing fabric to begin quilting. 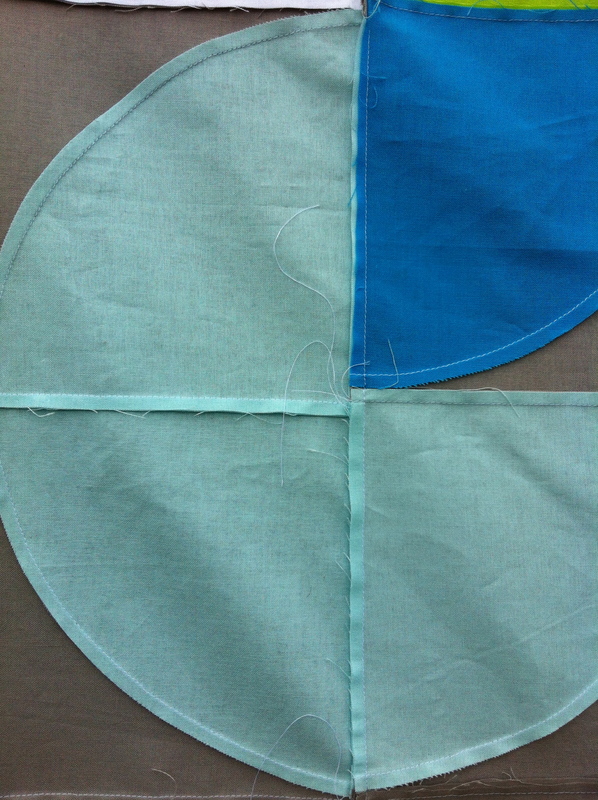 I just hope the last of the extreme hot-hot weather has ended and that I won’t bake under a-175cm-squared-half-finished quilt! 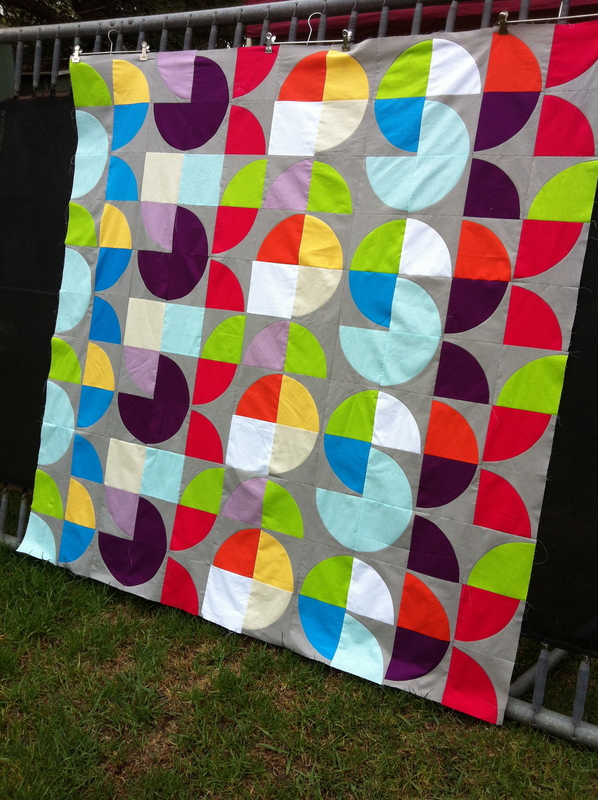 Your Colourplay-5 HTP Squared quilt is fantastic! The name sounds so scientific. Quilting is not something I had spent any time thinking about – ever – until this year, looking at all the vintage textiles of my ancestral coverlets. 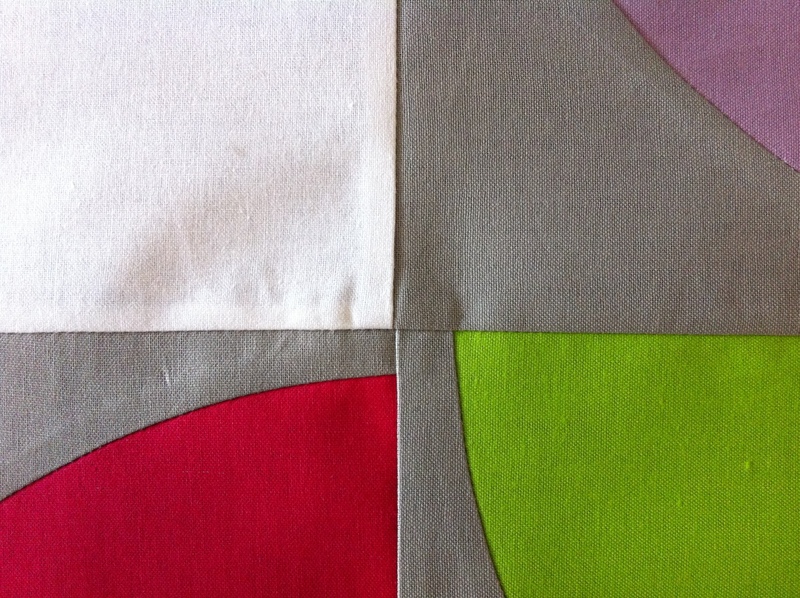 Too, recently reading about the artist Sonia Delaunay – one learns how quilting was the beginning of many revelations for her – regarding color relationships. Your close-up photo of the convergence of the pieces is a piece of art in itself… fascinating to see the wrong and right sides. 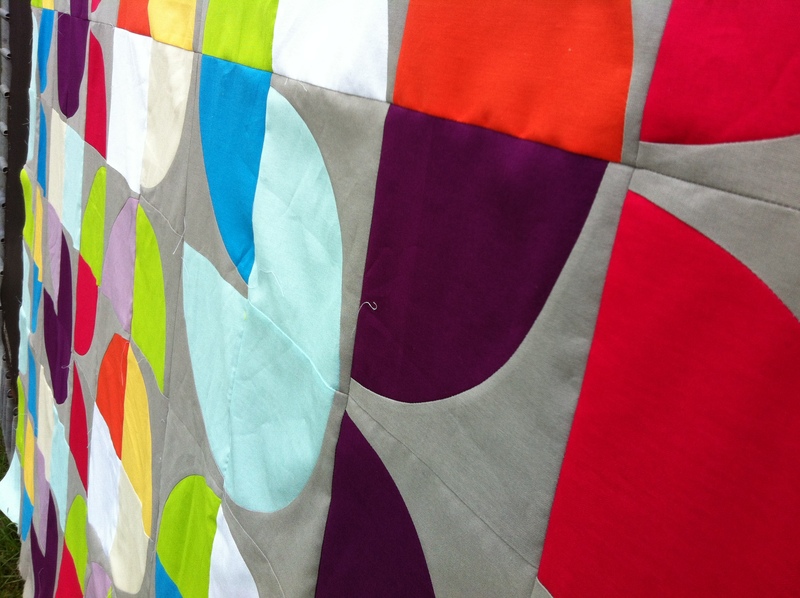 It’s a very mod – avant-garde – space age and futuristic-looking quilt, very nice even unquilted… and I suppose there are infinite ways to be creative when it comes to all the quilting or padding stitches. Found your blog because I was looking for a vintage quilting square – not really a square, but a mashed-looking hexagon – which I saw in a thrift shop yesterday, but the quilt remnant was in poor condition and overpriced. However, it was a shape I had never seen before, that squashed hexagon, composed of 6 triangles (not all equilateral)… perhaps you – a quilter – know of that shape and can expound some knowledge.